This story appeared in the June issue of the PRC’s Preservation in Print magazine. Interested in getting more preservation stories like this delivered to your door each month? Become a member of the PRC for a subscription! 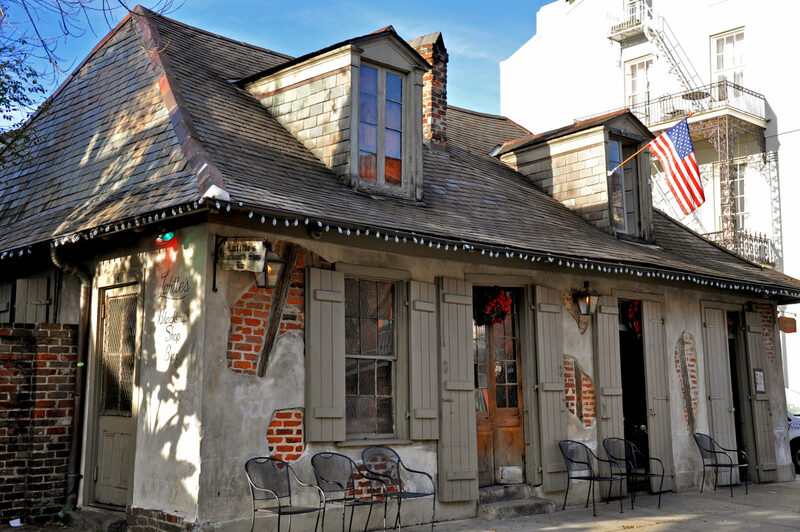 LEGEND — 937-41 Bourbon St. was the Lafitte brothers’ blacksmith shop where they as privateers also fenced their seized goods, and there were underground tunnels from the shop to the river for transporting the goods. The bar currently operating out of the building is the oldest in the United States﻿. 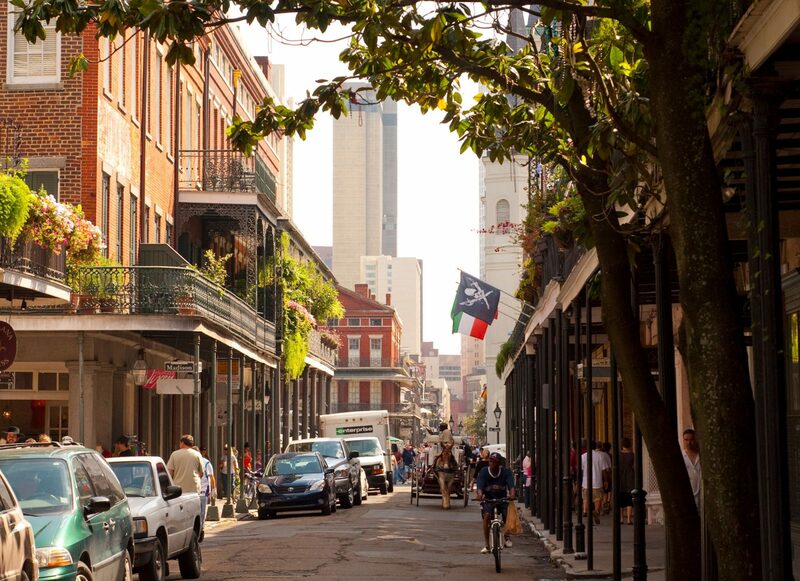 FACT — Exactly when 941 Bourbon St. was constructed is unclear, but it does date to the Spanish Colonial period. The cottage was built for carpenter Bartholomie Robert’s family who owned the site from 1773 to 1833. Robert’s estate mentions a small house here in 1781. There isn’t any concrete proof that ties the Lafitte brothers to this particular property. However, there is a Jan. 4, 1813, city license issued to Pierre Lafite (historically correct spelling) to operate a “Tuerie” or butchery on the corner of Bourbon and St. Philip streets. There is a strong case that the license refers to an earlier building located at 1031 Bourbon St. (today’s Lafitte Guest House). Pierre Lafitte’s mistress, Marie Villard, purchased that property in August of 1816 from Claude Tremé, and she was most likely a tenant there prior to purchasing the building — a transaction that Pierre’s involvement would have helped to secure. In article in the New Orleans Delta in 1849 interviewed a friend of Jean Lafitte who said that Lafitte was born in Bordeaux and worked as a blacksmith and kept a little shop for some time on the levee. By 1883, the legend was in place when Lafcadio Hearn referred to 941 Bourbon St. as “the famed smithy of the Brothers Lafitte.” The 1885 “Historical Sketch Book and Guide to New Orleans” repeated the claim. The building did not become a bar until the early 20th century, having first served as a residence, workshop and ice cream parlor. There are many other bars in the United States that were established far earlier and in older buildings. As for tunnels — seriously, in a city with such a high water table they were not practical especially during Lafitte’s era. Robert J. Cangelosi, Jr., AIA, NCARB, is president of Koch and Wilson Architects and a prominent architectural historian. His architectural practice is focused on the preservation, restoration, renovation and adaptive reuse of historic structures. This work includes projects such as the award-winning restorations of the Cabildo and St. Patrick’s Church. Cangelosi was the co-editor of the last two volumes of the Friends of the Cabildo’s highly regarded “New Orleans Architecture” series books and has served as a past editor of Preservation in Print.